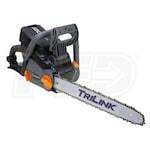 In today's market, electric chainsaws can deliver just as much power as their gasoline counterparts. Whether you desire a corded model or a cordless chainsaw, we're here to help you decide on the one you need. 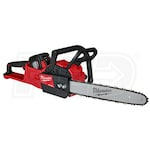 This year, we've compiled these Top 10 lists of the best-selling, top-rated and expert-recommended electric chainsaws. Pick a category below and discover the perfect chainsaw you've needed all along. 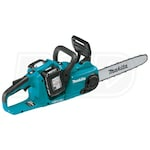 Or, read through our Electric Chainsaw Buyer's Guide first. Best Electric Chainsaws.. Our Power Equipment Direct how-to library can help you learn about Tips for Starting Your Gas or Electric Chainsaw, Benefits of Corded and Cordless Chainsaws and Proposition 65 Product Labeling.